The French Dominican scholar, Giles Emery, hits on a point I've been making a lot lately in his great work The Trinity in Aquinas (2004), namely, that Thomas Aquinas' theological method was highly--to a remarkable degree--biblical, focused in particular on the literal historical sense. This is especially evident in his Summa Contra Gentiles (not to be confused with the "other" Summa!). Check this out. . . Among other things, he points out that in his Trinitarian treatise Thomas doesn't cite Conciliar authorities in his primary treatment--his intent is to show that the Catholic faith, over and against the heretics (e.g., Sabellius, Arius, Photinus), preserves the teaching of Scripture. Thomas’s method thus exploits all the resources of a literal reading on its own terms, particularly that of very frequent recourse context (circumstantia litterae, contextus litterae), and to words preceding or following the text in question, in order to provide the overall interpretation of a passage which makes up a whole. If necessary, Thomas gives several possible interpretations, explains the general sense of a mode of expression found throughout the Bible, or discusses a problem of textual criticism or of the Latin translation from the Greek. His reading of Scripture is of course theological and doctrinal, intended to bring out the dogmatic content of the wording. . . The two expressions are referred to in SCG IV, ch. 8 (#3430). See for example SCG IV, ch. 8 (#3431; #3433; #3435). SCG IV, ch. 8 (#3436); ch. 23 (#3597). For example in the case of exclusive expressions (exclusive mentions of whichever divine person), in SCG IV, ch. 8 (#3428–29); ch. 23 (#3596); ch. 25 (#3622); or for the interpretation of divine knowledge in the sense of ‘making known,’ ch. 8 (#3435); ch. 23 (#3600). See SCG IV, ch. 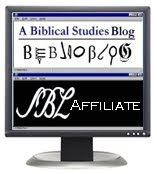 17 (#3527), regarding Phil 3:3; we also find a reference to Hebrew in ch. 7, regarding Jer 23:6 (#3408). SCG IV, ch. 7 (#3424). An implied reference to Pseudo-Dionysius in chapter 25 (#3621) recalls this. This principle governing discussion with non-Catholics is set out in an especially detailed manner in the De rationibus fidei, Prologue. It also provides the explanation for Thomas’s references to Councils of Antiquity in the discussion of the Filioque: such authorities were recognized by the Eastern Church. 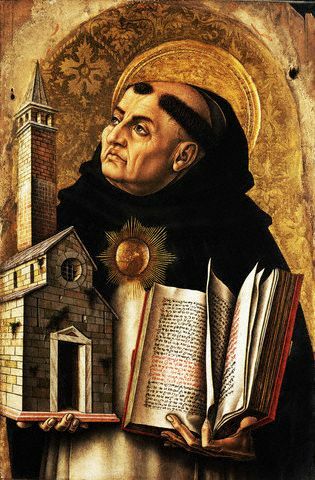 Do you know the differences between Trinity in Aquinas and Emery's recent OUP book, The Trinitarian Theology of St Thomas Aquinas? Are they the same?